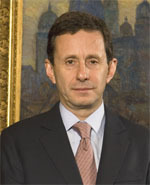 When Argentine president Cristina Fernández de Kirchner appointed political ally Mercedes Marcó del Pont to head the central bank in February 2010, there was little hope the move would lead to greater bank autonomy. Predecessor Martin Redrado exited the institution last year after a public battle with the president, who demanded that he tap international reserves to pay down government bonds. Marcó del Pont, a Yale-educated economist, acquiesced to the president’s demands, taking an even more political and less pragmatic stance. While economists continue to question official inflation data, many who have published forecasts and data contradicting those issued by the government have been slapped with criminal charges that could lead to jail time and have been fined more than $100,000 each. Although the national statistics agency reported 9.7% inflation in May, for example, economists said the figure was actually above 20%. Marcó del Pont has stated that the central bank plans to increase the money supply by 28% this year, which economists say is an admission that inflation is indeed in the 20%-30% range. The central banker says she will fight to avoid the peso’s appreciation, which she contends was a strategy used by previous administrations to control domestic prices. 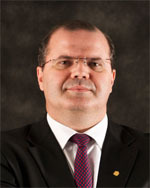 Since taking the helm of Brazil’s central bank in January, Alexandre Tombini has continued the successful policies that made his predecessor, Henrique de Campos Meirelles, the country’s longest-serving central bank governor. Tombini has taken an even more aggressive anti-inflation stance than Meirelles, increasing the benchmark Selic interest rate —Brazil’s equivalent of the US Fed funds rate—at nearly every monetary policy meeting since taking office in order to curb inflation and keep Brazil’s booming economy from overheating. Tombini has stated that bringing inflation to within the government’s target and maintaining financial stability by moderating short-term capital inflows are his key goals. Inflation has broken through the official target of 4.5%, plus or minus two percentage points, each month since April. Tombini vows to bring inflation to the midpoint of the official target range by next year. The central banker says inflation has been sparked by high agricultural commodity prices, increased urban transportation costs and weather-related price shocks. The nation’s currency has also appreciated by some 20% over the past two years. 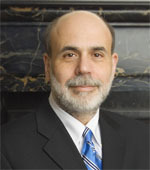 While Tombini, who earned a PhD in economics from the University of Illinois, faces important challenges ahead on the inflation front, his strict adherence to what he calls “macroprudent policies” have helped keep the nation’s economy on a firm footing. 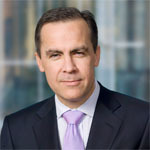 With Canada’s economic growth expected to pick up over the remainder of the year, central bank governor Mark Carney has put the markets on notice that interest rates may have to be increased sometime this fall. Talk of a rate hike is pushing up the already strong Canadian dollar, however, diminishing the need for future rate increases. The Bank of Canada last raised its overnight rate by a quarter point to 1% on September 8, 2010. Since then, the bank has been sitting tight in the face of renewed global uncertainty, such as Europe’s debt crisis and supply-chain disruptions brought on by Japan’s earthquake. Employment in Canada is at an all-time high, and while headline inflation is expected to remain above 3% in the near term, the Bank of Canada says core inflation is only slightly firmer. It says higher food and energy prices are only temporary. The central bank is in no mood to tighten aggressively with the relatively low rate of growth in the major developed economies. Canada is highly dependent on exports to the US, for example, and it remains unclear how long the soft patch will last in the US economy. The strong Canadian dollar and slow US growth are among the substantial headwinds the Canadian economy will face for some time, Carney says. As some of the remaining spare capacity in the economy is used up, however, “monetary policy can be expected to move away from exceptionally stimulative levels,” he says. José De Gregorio is accustomed to tackling complex problems, having at one point held three cabinet posts simultaneously while also heading the National Energy Commission. So, when Chile was rocked by a devastating earthquake in February 2010, De Gregorio, who holds an engineering degree from the University of Chile and a PhD in economics from MIT, rolled up his sleeves and got to work. He launched an aggressive plan to combat inflation and resisted exporters’ calls for a peso weakening, stating that a strong currency would instead contribute to economic stability. With domestic output and demand moderating and international economic growth slowing, inflationary pressures have eased and core inflation is under control. In July the Central Bank monetary policy committee was able to keep the benchmark interest rate unchanged for the first time since January, as economists predicted inflation would fall to 3.4% this year, well within the official target range. The nation’s economy, which grew by 5.2% in 2010 despite $30 billion in earthquake damage, is now predicted to expand by an additional 6.6% in 2011. Although Agustin Carstens, a former IMF deputy managing director, unsuccessfully campaigned for the multilateral agency’s top post this year, he was not distracted from Mexico’s economic and financial challenges. Carstens would have been the first IMF Managing Director from an emerging market nation. His aim is to keep the Mexican economy growing, despite US sluggishness and mounting domestic violence. The US purchases more than 80% of Mexican exports. Carstens says drug violence and organized crime, which claimed almost 40,000 lives over the past four years, are shaving a percentage point off Mexico’s GDP each year. JP Morgan Chase estimates the impact on GDP is between 1% and 1.5%. Following a 6.5% decline in 2009, the Mexican economy grew 5.4% in 2010 and Bank of Mexico predicts it will expand 4.8% this year. Mexican economists predict growth will be a more modest 4.31%. Consumer prices have reached a five-year low though, due mainly to easing consumer pressures and weakening domestic demand, with the general inflation rate expected to end the year at 3.6%-3.7%. Market players still hope Carstens and the government’s economic team will take a more proactive approach to inject dynamism into an economy that is otherwise coasting on automatic pilot. The Fed completed its $600 billion in treasury bond purchases on June 30, just as the economy’s soft patch was beginning to become a real worry. Meanwhile, the Fed’s easy-money policies were criticized around the world for contributing to rising commodity prices that threatened to result in broader inflation. Quantitative easing did drive the dollar down, but it also contributed to high oil prices and a rising US import bill. Meanwhile, banks can borrow at 0.25% and buy treasury bonds that yield 2.5%, pocketing the difference. This subsidy helps them to generate earnings and restore capital, but it doesn’t help small businesses that cannot get a loan.